The Weld Re-1 School District is dedicated to the continuous growth of all educators. In compliance with The Great Teachers and Leaders Act, known as S.B. 191, the Weld Re-1 School District has adopted the State Model Evaluation System for Principals, Teachers and Specialized Service Providers. 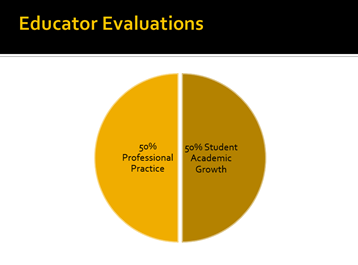 The goal of the Weld Re-1 evaluation system is to support the continuous improvement of educators’ practice by providing accurate, growth-producing feedback and opportunities for reflective conversations about instruction. In addition, the body of evidence used to measure educator performance includes authentic assessments that are used to inform and improve instruction and provide a clear picture of student progress. Key components of the evaluation process are highlighted below. 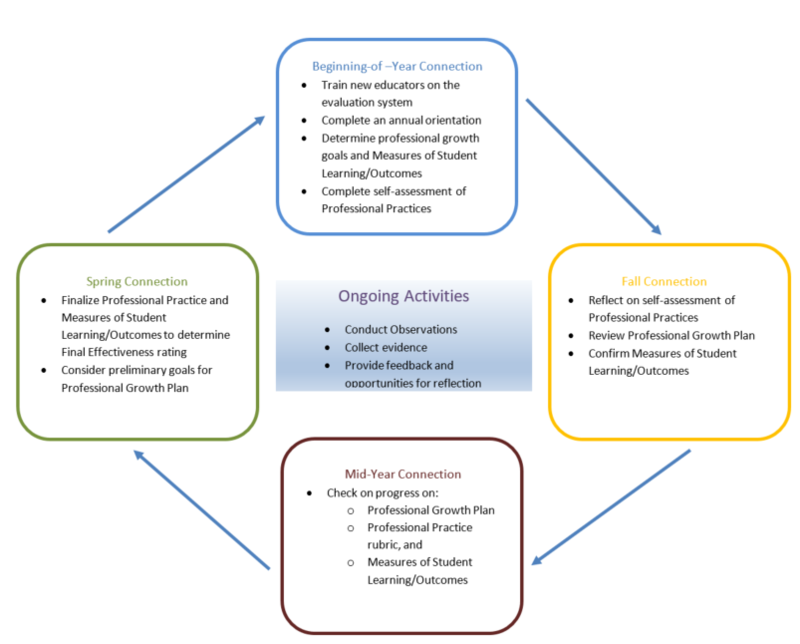 These include four specific times during the evaluation cycle that evaluators and those being evaluated meet to discuss educator and student expectations and performance. 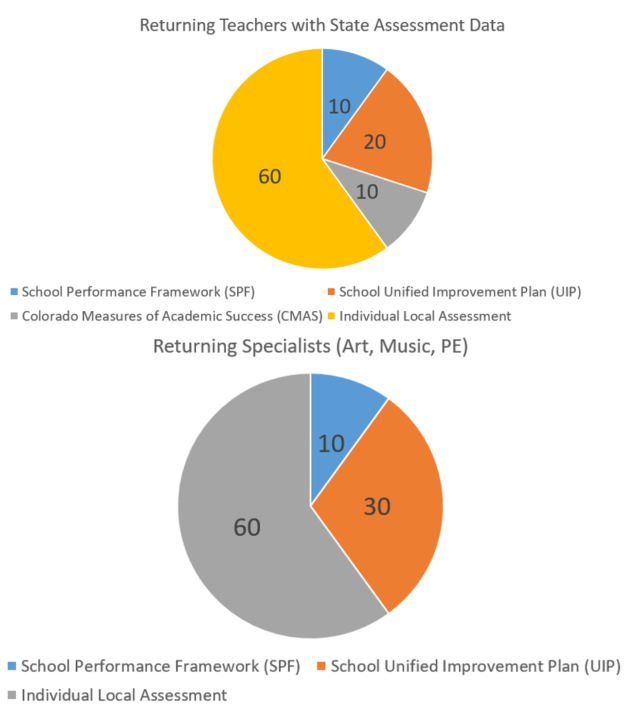 Half of the educators’ evaluation rating is based on their performance on a set of standards established by the state of Colorado. The other half is based on student performance. The 50% professional practices are outlined in standards created by the State of Colorado. - For subjects with statewide summative assessment results available in two consecutive grades, results from the Colorado Growth Model. 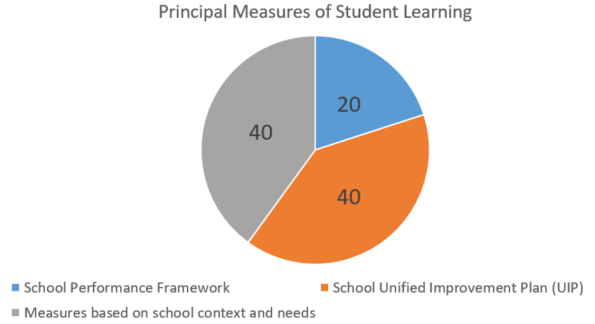 See Measures of Student Learning templates for Principals, Teachers and Counselors. The Principal rubric provides more detail on the expectations. The Teacher rubric provides more detail on the expectations. Measures of Student Learning for teachers vary depending on their role and responsibilities. 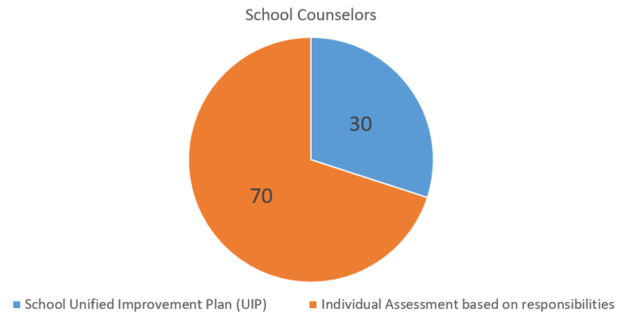 The School Counselor rubric provides more detail on the expectations.